As the world’s eyes focus on the plight of Nigeria’s missing school girls, it’s important to remember that Boko Haram is just one relatively small terrorist organization in a vast country. Here are seven things to know about Nigeria. 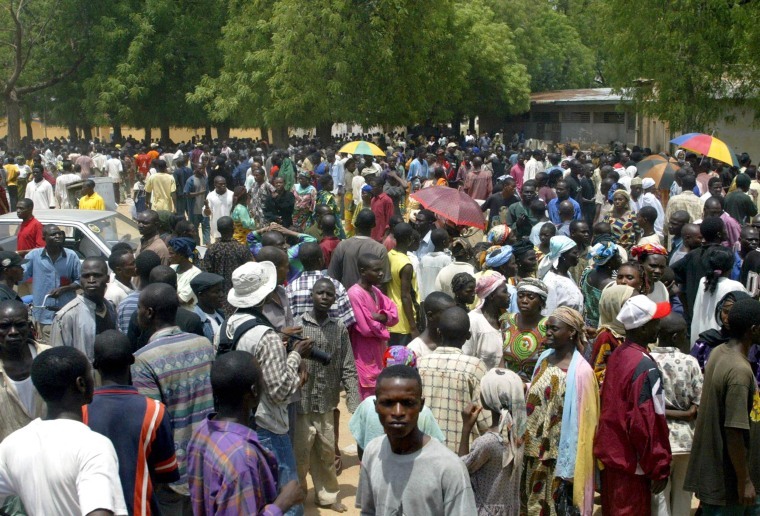 With an estimated population of 177 million, Nigeria is the continent’s most populous country. It currently has the seventh largest population in the world and the U.N. estimates those numbers will balloon to 258 million by 2050. It is made up of over 250 ethnic groups, with the Hausa and Fulani groups being the most dominant, followed by Yoruba and Igbo. With vast territory twice the size of California, Nigeria’s geography varies widely from tropical in the south to arid in the north. Nearly 50 percent of the population lives in urban areas – with 10 million in the megacity of Lagos alone. And the rate of urbanization is growing with a 3.75 percent rate of change annually, according to the CIA World Factbook. The official language in the former British colony is English. But with so many diverse ethnic groups, there are as many as 500 other indigenous languages spoken. The oil industry is the backbone of Nigeria’s economy – petroleum and petroleum products make up 95 percent of exports, followed by cocoa and rubber. With an estimated GDP of $459.6 billion for 2012, Nigeria is Africa’s largest economy and growing at about 6.7 percent annually, according to the World Bank. Of course, due to endemic corruption, that oil wealth has not trickled down to most in the country – an estimated 70 percent of the population lives below the poverty line, according to the CIA World Factbook. Activists have been waging a campaign of violence in the Niger Delta against the oil industry – demanding a greater share of the economic spoils for years. Oil workers are regularly kidnapped for ransom and pipelines are blown up by thieves who siphon off the oil. Security concerns have become a major threat to foreign investment. The Niger Delta has taken a beating from the decades of oil exploration and production. Environmentalists call the Delta the “world capital of oil pollution” with some 300 spills each year, according to the BBC. Locals blame the oil industry for destroying their fishing livelihood, as well as clean water sources. Environmentalists say international oil companies take advantage of the lack of laws and government regulation in Nigeria, but the companies say sabotage is also to blame for the pollution. The country is divided religiously with Muslims making up 50 percent of the north and Christians dominating the south with 40 percent; plus 10 percent worshipping traditional animist beliefs. Boko Haram, an Islamic sect whose name roughly translates to "Western education is a sin," is based in the predominately Muslim north. The schoolgirls kidnapping – which the group has taken responsibility for – is just the latest attack in a brutal campaign of violence it has been waging for years against what it sees as the corrupt, Westernized and oil-obsessed government in the majority Christian south. Boko Haram’s overall goal is the destruction of Nigeria's oil-driven economy and the establishment of an Islamic state. For all its problems, Nigeria has a rich cultural tradition. The novel “Things Fall Apart” by Nigerian author Chinua Achebe has been a must-read in English lit classes for decades. And Wole Soyinka, a Nigerian writer, was awarded the Nobel Prize in Literature in 1986 – the first person on the continent to receive the award. Nigerian musician, Fela Kuti, became an international icon in the 1970s by putting Afro-beat music – a combination of funk and jazz with outspoken political messages – on the map. His music is still influencing hip-hop music - and the current Afrobeat craze today.